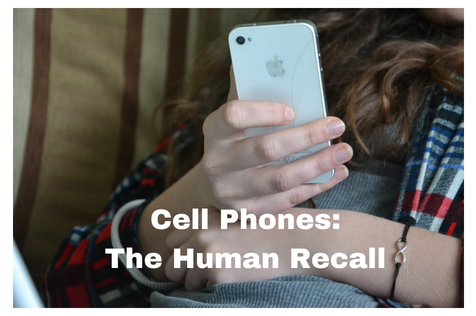 Raise your hand if you're attached at the hip (or thumb) to your cell phone. I am. Not only that, I am very well recall trained to my cell phone. When I set up my phone, I selected a sound for email/text notifications. The sound itself meant nothing to me, but with enough repetitions of the neutral sound followed by exciting communication from clients, I began to perk up when I heard that sound. I am so perky now, that I quickly move to my phone from wherever I am when I hear that sound. My phone can recall me. My conditioned emotional response to the sound creates an action. I like the notification sound because of what it means. Liking the sound makes me get up and go to my phone. The involuntary emotion drives my voluntary behavior. You can do the same thing with your dog! The majority of Recall training is just classical conditioning: recall sound followed by a yummy treat; recall sound followed by a yummy treat; recall sound followed by a yummy treat. Over and over. And over. And over. And over. When you focus on creating an emotional response on the inside, you'll soon find yourself with a wonderful recall on the outside! One of the easiest ways to start the conditioning is to say your recall sound/cue and then toss a treat on the floor. Do this 15 to 30 times a day and your dog will quickly make the association that the sound means food. Note: conditioning goes the other way too--individuals can also be negatively conditioned. Some years ago, a family member became negatively conditioned to the sound of the phone ringing. Why? Her extended family was going through a particularly difficult time and she had associated the ring with delivery of bad news. Her involuntary negative emotional response made it very hard to get up and answer the phone.